When the Supreme Court-appointed Committee of Administrators (CoA) took charge some two years back, one of their primary tasks was to form a Players’ Association before starting the process of forming the long-delayed Apex Council. According to the Lodha Committee recommendations, a member of the players association has to be nominated to the Apex Council. 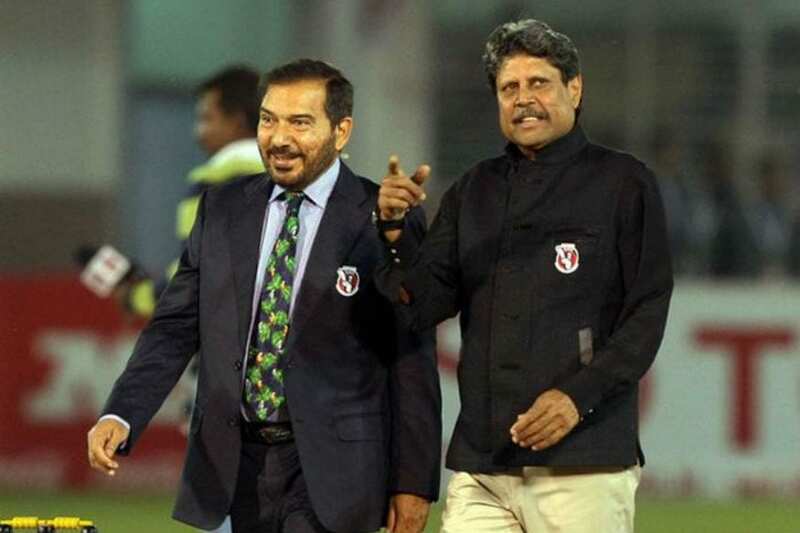 In January last year, the CoA, with permission from the Apex Court had formed a Steering Committee made up of former India cricketers Kapil Dev, Anshuman Gaekwad, Shantha Rangaswamy and Bharat Reddy, along with former home secretary GK Pillai. Since then the committee has met four times and worked out the way forward for forming the players body. However, on Monday, the CoA mandated that the association should be in place in two weeks, giving the committee two weeks to complete all necessary steps. “First we have to get the Memorandum of Association (MoA) and Articles of Association in place and thereafter we have to formulate the terms and the eligibility criteria for the players. We have discussed everything but the things aren’t final. We had sent a report to CoA about what meetings we have had with legal team and now it’s up to them,” Steering Committee member Gaekwad told CricketNext. The former India coach also clarified that all first-class cricketers — men, women and those from the physically-challenged category — will be part of the body. “There will be proper election and all first-class players will be the members. We discussed how we are going to organize the election, 5-6000 people coming to one place is not possible. It could be done electronically,” Gaekwad said. Former Bengal captain Arun Lal was secretary of the Indian Professional Cricketers’ Association (IPCA), that was formed back in 2002. Lal is pleased that the BCCI was finally going ahead with the long-awaited players body. “This is a very positive move for Indian cricket. Lot of the other major cricketing nations already have a players body in place. We have one of the largest pool of cricketers in the world. Their coming together under one roof is going benefit the sport. The players association can give some positive inputs about development and administration of the sport,” Lal told CricketNext. The IPCA was formed just before the 2002 Champions Trophy, when controversy over ambush marketing loomed over Indian cricket and the players threatened to pull out of the tournament. The association was formed in Kolkata but went into cold storage soon after once the issue was resolved. The BCCI agreed to compensate the players for any losses suffered and the association slowly shut down. “Unfortunately back then the IPCA was seen as a ‘confrontational’ body. Players association was viewed as something negative by the BCCI. It was not formed to be rebellious but work for the benefit of cricketers. But BCCI asked what is the need, they can come to us directly. I hope this view of players association changes. I will actively take part once this new body is in place and help in any way that I can,” Lal added. However, there are still some hurdles for the Steering Committee members to form the players body in the expected time frame of two weeks. Both Dev and Gaekwad have various media commitments during IPL and will need to find time from those to ensure the timeline is met.